What do you do with all those pictures you have taken with your new digital camera? Store them on a custom CD! 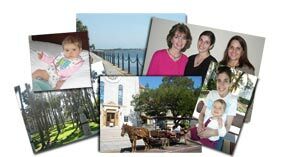 Our Basic digital photo package will take your digital photos and burn them onto CDs. Putting your digital pictures on a CD will keep your computer clean and archive all your memories in case of a virus or computer crash. With this package you will receive two CDs. The first CD is a Photo CD that will play in most home DVD players. The second CD contains your original copies of each photo in addition to email-friendly copies of each photo. Emailable copies are small enough to send through the internet without filling up your family/friend's inbox.